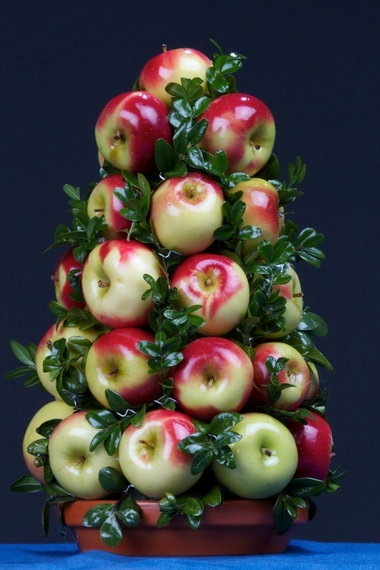 Get to know the lady apple for the holiday season. She’s the friend to have in your corner for both the delights of the table and for decorating. It’s bright red and green coloring have earned it the title of the Christmas apple. Long used in wreath making in England, the lady apple tastes sweet/tart when eaten raw and is a lovely addition to holiday stuffings or as a chutney to accompany roasted meats or poultry. This distinctive lady is know in France as the Pomme d’ Api and happens to be the oldest recognized apple variety in the world. For making a holiday chutney to go with my Lady Apple wreath, I favor Ina Garten’s recipe. 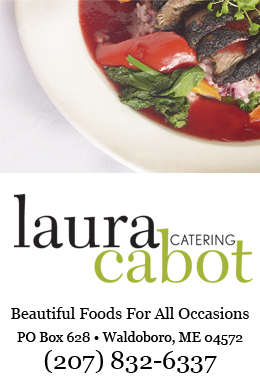 I hope you enjoy it as much as we do here at Laura Cabot Catering! Combine the apples, onion, ginger, orange juice, vinegar, brown sugar, mustard seeds, pepper flakes and salt and in a large saucepan. Bring the mixture to a boil over medium-high heat, stirring occasionally. Reduce the heat to simmer and continue cooking, stirring occasionally, for 50 minutes to 1 hour, until most of the liquid has evaporated. Take off the heat and add the raisins.